Mohmand Agency is a district of FATA (Federally Administrated Tribal Areas). Mohmand Agency was formed in 1951. But the main government offices of this agency moved to Ekkagund in 1973. Before 1951 and in the time of British Rule, this area was administrated by a Deputy Commissioner whose office was in Peshawar. Now headquarter of Mohmand Agency is located in Ghalanai town of the agency. This agency is now administrated by a Political Agent which is appointed by the Federal Government of Pakistan. Pashto and Urdu are the languages spoken in Mohmand Agency. The Population of Mohmand Agency is about 0.5 million. Total area of the Mohmand Agency is about 2,297 km². Bajaur Agency, Khyber Agency, Malakand, Charsadda and Peshawar districts are the neighboring areas. Most of the area of Mohmand Agency is Hilly and occupied by unfertile Mountains and there is very less flat land is available for agriculture. So there are very insufficient crops cultivated in the agency. Mohmand Agency is located in the North Western Area of Khyber Pakhtunkhwa. Mohmand Agency is subdivided in Upper Mohmand and Lower Mohmand. Mohmand, Safi and Utman are the major tribes living in the Mohmand Agency. Mohamand is one of the oldest Pashtun Tribe. 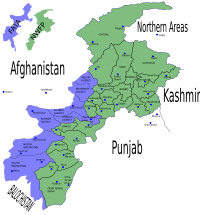 Mohmand tribe is subdivided into 4 sub clans; Baizai, Khwaizaim Halimzai and Tarakzai. Warsak Dam is located on the river Kabul in Mohmand Agency. This dam was built in 1960. Now another dam, Munda Dam is being constructed in Mohmand Agency on Swat River.